Grammarians Hockey Club was formed in 1951 by the Christian Brothers at the time teaching in the boys Gibraltar Grammar School. Since its foundation 65 years ago the club has been at the forefront of local sports such as Football, cricket and Table Tennis and last buy no means least, Hockey. It is at Hockey where the club has to a greater extent lived up to its motto ‘Estote Stabiles’ (Stand Firm). It is felt that the past record will be difficult to be equalised let alone surpassed. The club has participated in many international tournaments both in Gibraltar and abroad. The club which is by no means resting on its laurels is planning for the future with the help of the Gibraltar Hockey Association which takes an active approach within the junior development ranks. In Gibraltar the Men’s 1st Division team have on a number of occasions won every trophy competed locally and of course the league which has been won on more than 30 occasions, twice for 9 years in succession. 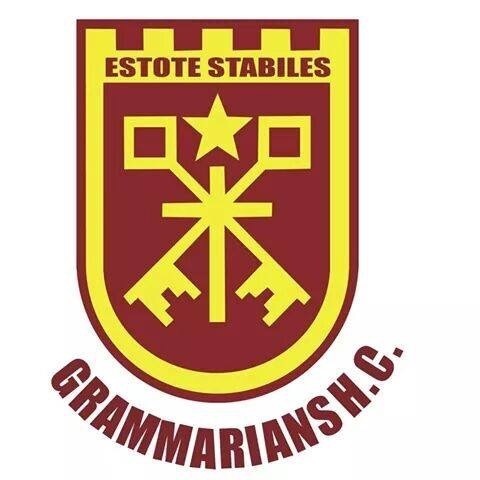 In more recent years, Grammarians have won 4 of the past league titles and also won gold in the Club Champions Challenge III in Athens in May 2010 and Club Champions Challenge II in Gibraltar May 2011. Winning the local league or coming second has permitted the club for the past 20 years to participate in European Hockey Federation competitions. The club has enjoyed considerable success on the domestic and international front and their players have been the basis for the National team. In recent years Grammarians have gone through a period of transition, rejuvenating the squad with plenty of youth which has come up through the clubs youth system, and the hard work from the entire club is now paying off after a 5 year plan was implemented in order to increase numbers and competition within the club. Most of the traveling squad are under the age of 25. On the year of the clubs 65th anniversary the Grammarians will be keen to achieve success at the upcoming European Championships in Bratislava. Most resounding successes: Winners of Eurohockey Cup Winners Cup C Division Plas Coch, Wales 2001 Wiiners of Eurohockey Club Champions Cup Challenge 2 Zagreb Croatia 2005 Winners of Eurohockey Club Champions Challange 3 Athens, Greece 2010. Winners of Eurohockey Club Champions Challenge 2 Gibraltar 2011 3 times participants in the A-Division 4 EurohockeyClub Championship B-Finals (placing runners up).